They are extremely drought-resistant and thrive in almost any well-draining soil. Once you know the basics, growing a bougainvillea vine is easy. When you plant bougainvillea in the garden, you need to learn the ins and outs of caring for them. Bougainvillea care takes less effort if you select the optimal site. Plant these woody vines in a site with full sun and well-draining soil. Although bougainvillea vines tolerate many types of soil, they prefer loamy soil that contains clay, sand and silt in equal parts. Amend it with organic matter to allow nutrients to easily reach the roots. Once the plant is mature, it only needs to be watered once it starts to wilt and the soil is dry. 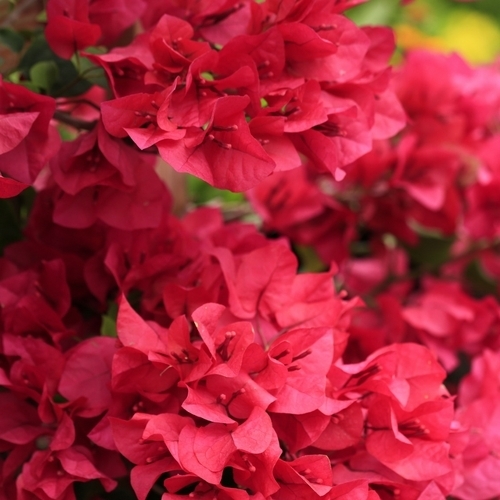 Fertilize your bougainvillea every month in spring and early summer. Pruning is part of the work if you are caring for bougainvillea in the garden. Keep your eye out for dead wood and remove it as it appears. Save severe cut backs for a time after the bougainvillea has flowered. You can prune late in fall or very early in spring.